The Committee deliberated on the Legal Practice Amendment Bill. The Department responded to a concern raised the previous day about section 34 of the Act limiting the right to offering legal services. A Member interpreted it to mean that attorneys can be advocates in section 114; yet advocates cannot do the work of attorneys according to section 34 and said this was unfair and discriminating. The Department stated that section 114 and 34 are not similar as section 34 gives advocates rights which they do not currently have, while section 114 ensures the protection of already vested rights of attorneys. The Deputy Minister stated that the clause is for the benefit of the public and is not discriminatory. Members asked that the Committee focuses on the matters relating to the transition, and the additional proposals be dealt with in a new Bill. The State Law Advisor presented the A list of Committee amendments and the B version of the Legal Practice Amendment Bill with the proposed amendments incorporated. The Committee adopted the Legal Practice Amendment Bill. The Committee discussed the review of the Executive Members Ethics Act, as prescribed in the Public Protector's State of Capture report. A letter had been received from the Office of the Speaker recommending that the Committee review the Act. Some Members spoke about the separation of powers and said it was a competency of the executive to initiate amending the legislation. They also stated that the Bankorp judgment, on the Public Protector's overreach of her powers, binds the Committee and they must inform the Speaker that they cannot deal with the Public Protector's order to review the Executive Members Ethics Act. Other Members argued that there was a marked difference between the remedial actions of the current and previous Public Protectors - the one prescribed what Parliament must rubber stamp while the other merely said Parliament must review the Act. The Constitutional Court ruling on the Nkandla matter, found that the Public Protector's recommendations were binding unless reviewed by a court. The Committee decided to seek advice from Parliament's Constitutional and Legal Services Office and postponed the matter till next week. Mr H Horn (DA) asked why the removal of magistrate has been removed from the agenda. The Chairperson explained that they had previously agreed that the agenda is subject to the supply of the information. Some members only recently got the documentation and were not ready. He felt that he should not force members if they have not read the document. Mr Horn said this is an unsatisfactory position. It was previously confirmed that the documents had been emailed to all committee members but the ANC members claim to not have been included in that email. It was also put in his pigeon hole well ahead of time. It would seem the Committee is avoiding addressing the matter based on the excuse that the members are not prepared. For this Committee to function properly, they cannot leave matters at the mercy of members who have not read documents. The Chairperson said that they do not want a situation where people make decisions when they are not ready. Ms C Pilane-Majake (ANC) asked why the Cybercrime Bill was removed from the programme. The Chairperson was informed that the Department would not be ready. They did not want a situation where they force the Department to appear when they are not ready. Mr Lawrence Bassett, Department of Justice Chief Director of Legislative Development, referred to the matter raised by Mr Mpumlwana the previous day about the proposal by the National Bar Council for an amendment to section 34(2)(b) of the Act. The Bar Council asked why one should limit legal services that may be rendered by advocates who are in possession of a Fidelity Fund Certificate. Mr Bassett explained that it was a policy choice made in Parliament in 2014 when considering the original Act. Advocates will get rights to get briefs directly from the public but with certain criteria. Mr Mpumlwana had asked if this is not limiting the right to render legal services when compared to the section 114 amendment which protects the vested rights of attorneys. The Department argued that section 114 and 34 are not similar as section 34 is about giving rights to the advocate profession which it does not currently have. Mr Bassett said that yesterday it was mentioned that advocates are taking briefs directly from the public. The Department said that this is concerning as a 2004 Supreme Court judgment held that advocates taking briefs directly from the public is unethical. The Act is intended to stop that for the protection of the public. The proposal by the Bar falls outside the scope of the Amendment Bill. Even though section 34(2)(b) might look as if it has a limiting effect, in practice there is very little that advocates would be unable to do that attorneys do if they have a Fidelity Fund Certificate. They would only be excluded from the work of a notary and conveyancer. Attorneys who do that work must get additional qualifications and be admitted by the court. There is very little limitation as a result of that provision. He hopes the Council is going to make the rules and will apply their minds to this. The Department will take a look at this. The Chairperson said that they agreed they want the Amendment Bill to focus on the National Forum extension. They are expecting the broad issues will be dealt with in the new bill. The public interest should take precedence over everything. Mr L Mpumlwana (ANC) referred to a clause that were not in the Amendment Bill when introduced. If it was not in the Bill, they must know why it has been put in the A list as they have not decided on this. He suggested that the proposal about section 34(2)(b) be added to the new bill that is coming in January. Ms M Mothapo (ANC) said that the Department explained section 34(b) where advocates will acquire new rights. She asked that they focus on the request for extension by the National Forum on the Legal Profession. There are processes that have to be followed when there are amendments that are not in the scope of the Amendment Bill. The Chairperson said that Mr Mpumlwana seems to agree that for now they focus on the extension so they do not have a situation where the National Forum does not exist. Mr Mpumlwana asked if they are diverting from the original Bill as the argument had been to keep to the original Bill as they do not want to have to go to the National Assembly to request permission to include amendments to sections of the Act that were not in the Amendment Bill. Mr Horn said that Mr Mpumlwana’s argument would put the Committee in a position where they can only accept or reject Bills put in front of them by the executive. They must remind themselves that anything incidental to the Bill, they would be obliged to deal with. The Bill is intended to facilitate the transition. He asked if all the Committee proposed amendments still relate to the purpose of the Bill. They must be mindful that they have a duty to deal with everything including incidental amendments. Mr Mpumlwana said that Mr Horn hinted that something was added which is incidental to the Bill. His understanding was to stick to the Bill. If there are incidentals, do they not have to ask the National Assembly for permission? 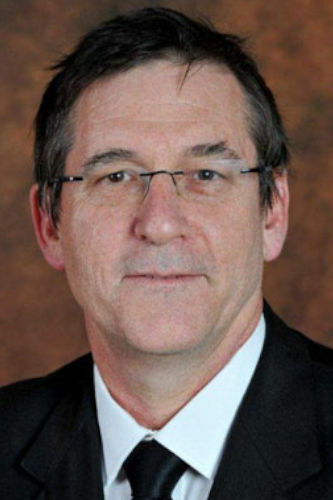 Deputy Minister, John Jeffery, said there is controversy within the legal profession on the transformation of the profession and the relationship between attorneys and advocates. The Legal Practice Act took 15 years to make because the Department wanted to make attorneys and advocates come to an agreement. There was general consensus but not everyone was happy. The view of Parliament at the time was to keep everyone doing what they did before and to preserve existing rights. Once the Act comes into effect, people who want to be advocates must do some form of pupillage. He urged that the Committee be cautious about reopening the matter of forms of legal practice as it will take a lot of time to engage with stakeholders due to disagreements. He urged that the clause 11 proposed amendment from the National Forum on the rights of attorneys be put in because of the consequences. He doubted that anyone would challenge the clause. Mr Mpumlwana was concerned that this clause is discriminatory. Advocates cannot do the work of the attorneys but the attorneys can do the work of the advocates. This discrimination is not appropriate and constitutional. This is also incidental. The Chairperson said that when they were addressed by the Forum, there was a confirmation that there are serious differences. Even the Bar is fragmented and as Parliament, they must be guided by the public interest. The Committee has urged the Department to bring a Bill in the new year. If they have to go back to the National Assembly because of one matter, they would not have a Forum and the transformation which is desired would cease. He asked that they accept they are dealing with a difficult transition and they must take this into account. On discrimination, the Deputy Minister said that the convergence started in the 1990s when attorneys got the right of appearance in the high court. This meant you did not need an advocate to appear and you could use an attorney. This is beneficial to the public as you do not have to pay for two. The purpose of section 114 is to keep the rights in place that were there before the Act. The only change is advocates being able to legally take direct briefs. This is something the Bar Council was opposed to. He does not see any discrimination. Mr Mpumlwana said that they agreed that what is originally in the Bill must be dealt with; yet they sneak this in and the original Bill has now been altered through "incidentals". There is no transformation in the Act as it stands. The Chairperson said this flowed from the submission from the National Forum. Ms Pilane-Majake said that as they extend the life of the Forum, the Deputy Minister must advise if they should continue with the same group of people in the Forum. Mr S Mncwabe (NFP) asked about advocates having a Fidelity Fund certificate. There are areas that need special skills such as being a notary and conveyancing. Does it mean advocates cannot do this with the Fidelity Fund certificate but they must write an examination? The Deputy Minister replied that the existing National Forum will continue with the same people. The National Forum was asked to provide the amount of time it needed and state the steps it needed to take to finish. An attorney cannot do notary work or conveyancing unless you do the specific exam. Advocates cannot be a conveyancer as you must be an attorney first. The amount of time for articles for an attorney has been reduced to one year if you do the year course in practical legal training. People graduating as advocates will have to do pupillage when the new Act comes into play. The public must be protected against people who do not have Fidelity Fund certificates, do not have any experience and charge thousands. The Chairperson said that the public interest should take precedence and he is happy they are in agreement. • New Clause states the Legal Council will only take jurisdiction over all legal practitioners when section 120(4) comes into operation. This is to avoid conflict in jurisdiction between the Council and the law societies which would be detrimental to the public. • Clause 2 was rejected and was renumbered Clause 3. This was after the Committee decided that the areas of jurisdiction of the Provincial Councils should not be left to the Minister, but should be in the Act. These areas will correspond with the areas of jurisdiction of the High Court. • Clause 5 is a new insertion and ensures that the old Fidelity Fund Board remains in place until the new board is fully functional. • Clause 7 is a consequential amendment on the jurisdiction of the Provincial Councils. • Clause 5 was rejected and renumbered to Clause 8. This new clause deals with the Committee approval for an extension of the National Forum to 31 October 2018 subject to full exposition of the tasks they must do and costing. There is a deletion of section 96(5) to bring the life span of the Forum in accordance with section 101 that provides for the term of the Forum. • Clause 6 is a consequential amendment where the jurisdiction of Provincial Councils is addressed. • Clause 7 ensures the new rules the National Forum is making on behalf of the new Council is only for matters referred to subsection 1 and 3 and not subsection 2. • Clause 11 deals with the vested rights of existing attorneys that have the existing right of appearance. • The insertion of a new section 120(3) provides that Chapter 2 comes into operation on any date fixed by the President. The Act currently states three years after the date of commencement of Chapter 10. This date is no longer attainable and would hamper the transition. Mr T Mulaudzi (EFF) asked for clarity on the Provincial Councils. He asked if they will be managing practitioners at a provincial level. If a legal practitioner is registered in a particular province, does this mean they cannot practice in another province? Ms Louw replied that the Act provides that a person can now practice in the whole country. The Deputy Minister said that you currently register with the law societies of the provinces. When the Act comes into play you will register with the Legal Practice Council and you will automatically be able to work within the country. Law societies are statutory and the Legal Practice Act repeals that legislation. The Chairperson thanked Ms Louw for her work and the Deputy Minister for his contribution. The Chairperson presented the Bill as amended to the Committee. Seven members accepted the Bill. Ms Breytenbach and Mr Horn reserved their position as they needed caucus approval. The Deputy Minister said that it would be useful to know if the Committee decides on a declaration or a debate in the National Assembly. Ms Pilane-Majake suggested they do a declaration instead of a debate. Ms Breytenbach and Mr Mncwabe agreed. The Committee discussed the review of the Executive Members Ethics Act, as prescribed in the Public Protector's State of Capture report. Ms Pilane-Majake referred to the recommendation of the Office of the Speaker for the Committee to address the removal of the Public Protector and said the Committee must amend the Executive Members Ethics Act as a result of the recommendation of the Office of the Speaker. Looking at the request, it has to do with the amendment of legislation and the separation of powers renders this a competency of the executive. In between, there has been a judgement on the Public Protector Bankorp Report on the overreach of the Public Protector and the recommendations she made. She asked that they look at the request from that perspective as well as taking into account the separation of powers of the three arms of state. Mr Horn said that they are not aware of an additional letter sent from the Office of the Speaker. Ms Pilane-Majake replied that this refers to the request for extension of time to address the remedial action from the State of Capture Report. Mr Mpumlwana said that the Bankorp judgment binds the Committee and that the Public Protector cannot instruct Parliament on what to do. This is something which the Committee discussed and the DA was saying the Public Protector must be brought before them and answer why she must not be regarded as not being fit to hold office. The Committee must tell the Speaker that they have the judgment and cannot go further on that request for the review of the Executive Members Ethics Act. Mr Horn said there is a marked difference in the two remedial actions. The one was an overreach when Parliament was instructed to amend the Constitution in a specific manner without leaving room for Parliament to do its work. Parliament was expected to be a rubber stamp. The State of Capture Report had ordered Parliament only to review the Act. Parliament was not prescribed on what the contents should be. One cannot be treated in the same way as the other. The remedial action of the Public Protector is binding unless set aside by way of a review application. Parliament has not taken that remedial action on review in contrast to the one on the South African Reserve Bank. It would not be appropriate of the Committee to decide not to embark on remedial action because of an interpretation some Members might not want. The Chairperson said they must not venture into something they have not applied their minds to as they have not seen the letter. Mr Horn said that the Chairperson ignored his statement about not receiving the letter. However, now that Mr Horn says the two remedial actions cannot be equalised, the Chairperson notes the fact that they have not received the letter. Mr Mpumlwana said the judgment is clear that the Public Protector cannot instruct law. Even if it came later, they must write back to the Speaker and let her know. Ms Pilane-Majake asked why the DA has not gone through the documentation. The remedial action is binding unless taken on review. She initially indicated that when it comes to the legislation development process, it is normally developed though the executive unless it is a Private Members bill or a Committee bill. The matter must be referred accordingly to the correct route to allow the executive to amend the Act. Mr Mpumlwana said they are bound by the Bankorp judgment and need not go that route. Mr Horn asked for clarity on what Ms Pilane-Majake proposes on the route to be taken. Mr Pilane-Majake responded to Mr Mpumlwana by saying when looking at legislation development, the matter must be addressed at the level of the executive. Mr Horn said this is not the correct position constitutionally. Parliament is the legislature. The vast majority of laws they approve are initiated by the executive but this is not prescribed to be the primary manner in which legislation should occur. It is the duty of Parliament to enact legislation. Unless Parliament decides to take the Public Protector's remedial action on review, they are duty bound to embark on the process of reviewing the Act. Mr Mulaudzi agreed with the Chairperson and Mr Mpumlwana. The Chairperson suggested that they request legal opinion from the parliamentary legal advisors and postpone the matter till the next week. Mr Horn requested in the brief to the parliamentary legal advisors, that they do not embark on a process to say this is the majority stance, but they source a legal opinion based on a balanced and complete referral. Ms Pilane-Majake asked Mr Horn to articulate what area of the matter requires a legal opinion. The Chairperson said that because the Committee is not agreeing, they will get a legal opinion before they can decide how to move forward. Mr Mpumlwana said that the Committee has many lawyers. He asked why they do not discuss the judgment in the Committee instead of getting another lawyer. The Chairperson said that the Committee will deal with the matter next week when they get a second legal opinion.